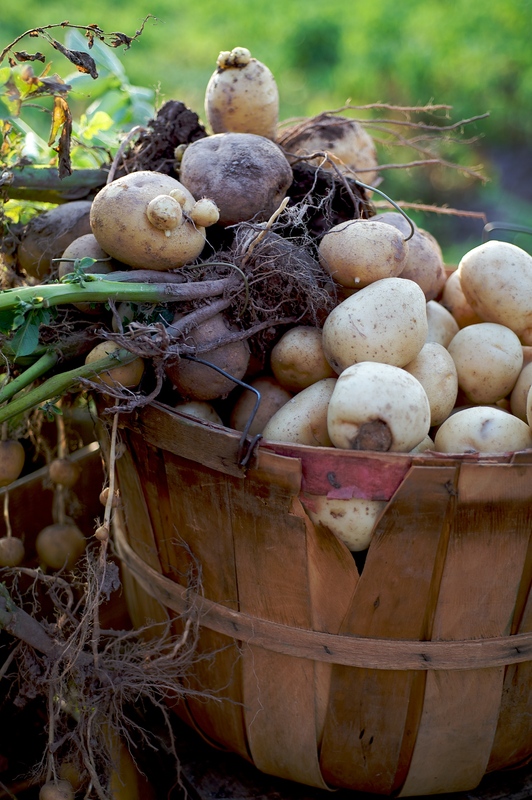 Masser Potato Farms and the Masser family have been growing and delivering quality potatoes to the nation's finest retailers and foodservice operators for over 8 generations. 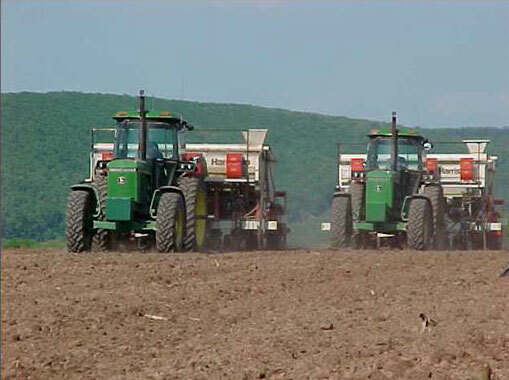 Located in the beautiful Pennsylvania Dutch region of the Hegins and Lykens Valleys, Masser Potato Farms combines years of potato farming experience with today's newest technology to deliver the best quality potatoes at the best value. 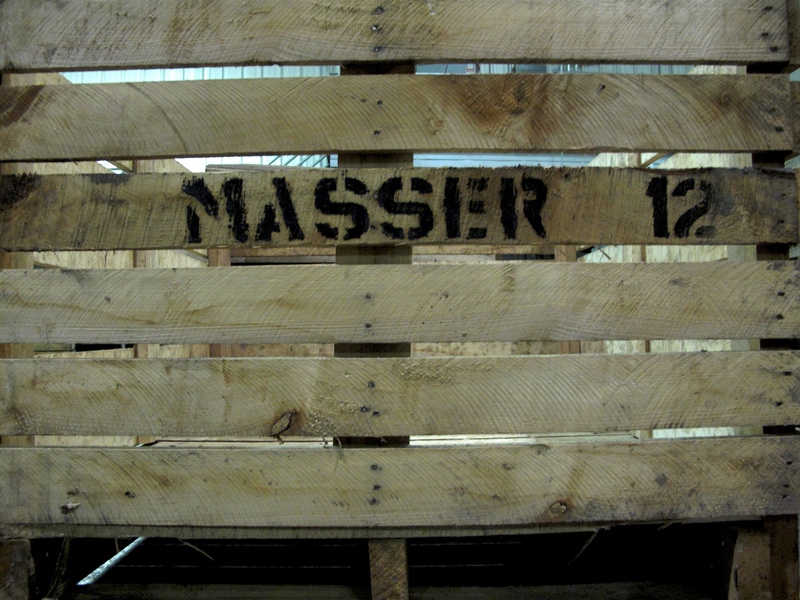 With integrated state-of-the-art operations, sustainable agricultural and supply chain practices, innovative new products, best-in-class category management, and customized marketing solutions, the Masser team delights their consumers and customers and delivers profitable category growth. Learn more about our history, founder, vision and values, focus on quality and food safety, customer-first business model, and innovative new products and processes. 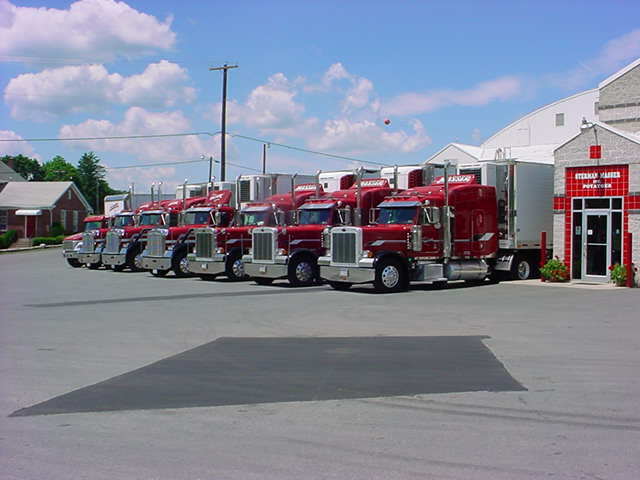 From the very beginning, we've always wanted to deliver extraordinary service. 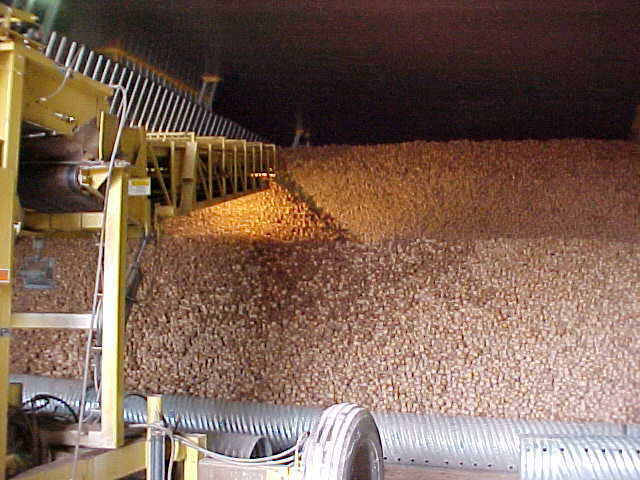 Extraordinary service comes from extraordinary people, and the foundation for extraordinary people is an extraordinary culture that knows the value of treating potatoes with care. The 28 "Fundamentals" that follow define our company culture. They're what set us apart and drive our success. We call it, The Masser Advantage. Fundamental #1: REMEMBER WE ARE FAMILY. Our relationships go deeper than simply being teammates at work. Take the time to build strong relationships that last a lifetime. Whether it's kind words during the busy season, a friendly smile each morning or a helping hand in stressful times, show your compassion. "WE ARE!" Fundamental #2: DO THE RIGHT THING, ALWAYS. Demonstrate an unwavering commitment to doing the right thing in every action you take and in every decision you make, especially when no one is looking. Always tell the truth, no matter the consequences. If you make a mistake, own up to it, apologize, and make it right. Fundamental #3: "GIFT WRAP EVERY LOAD." Make quality personal. Demonstrate excellence and take pride in everything you touch and everything you do. Don't accept mediocrity. Fundamental #4: TRUST IN OTHERS. Assume that people are good, fair, honest and that they have positive intentions. Set aside your own judgments and give people benefit of the doubt. Fundamental #5: LOOK AHEAD AND FORECAST. Solve problems before they happen by anticipating future issues, planning for contingencies, and addressing them in advance. Work with appropriate lead times. Preventing issues is always better than fixing them. Fundamental #6: DO IT RIGHT THE FIRST TIME. Pay close attention to the details. Missing just one can have an enormous impact on any job. Be a fanatic about accuracy and precision. The goal is to get things right the first time, not simply get them done. Always double check your work. Fundamental #7: COMMUNICATE EXPECTATIONS. Create clarity and avoid misunderstandings by discussing expectations upfront. Set expectations for others and ask when you’re not clear on what they expect of you. End all meetings with clarity about action items, responsibilities, and due dates. Fundamental #8: PROTECT OUR REPUTATION. We are all responsible for the company image, reputation, and brand. Consider how your actions affect our collective reputation and be a proud ambassador for the company for the generations to come. We’re built to last! Fundamental #10: BE RELENTLESS ABOUT IMPROVEMENT. Regularly reevaluate every aspect of your job to find ways to improve. “Because we’ve always done it that way” is not a reason. Find ways to get things done better, faster, and more efficiently. Be a lifelong learner. Seek out and take advantage of every opportunity to gain more knowledge, to increase your skills, and to become a greater expert. Fundamental #11: GO ALL OUT. Have a passion for what we do and be fully engaged. Make the most of each day by approaching every task with energy, focus, purpose, and enthusiasm. Work with a sense of urgency to get things done. Empty the tank!. Fundamental #12: SHOW MEANINGFUL APPRECIATION: Saying thank you is powerful. Regularly extend meaningful acknowledgment and appreciation -- in all directions throughout our company. Celebrate each other's success! Recognize when people do the right thing rather than point out when they do things wrong. Fundament #13: DEMONSTRATE EMPATHY: Understand others' worlds. Know their challenges and frustrations. See the world from their perspective. The better you understand them, the more effectively you can appreciate and meet their needs. Fundamental #14: ALIGN WITH CHANGE. What got us here is not the same as what will get us to the next level. Be flexible and get outside your comfort zone. Be excited by the possibilities that the seeds of change and growth bring. Fundamental #15: THINK SAFE. WORK SAFE. Know and practice the safety procedure for your job. Watch out for the safety of your teammates and the environment, for we're all part of the Masser family. Never take shortcuts that compromise your safety or that of your teammates. Fundamental #16: DELIVER EXTRAORDINARY SERVICE. It's all about the experience. Be better than the rest. With every experience, do the little things, as well as the big things, that surprise people. Be friendly and ridiculously helpful. Create the "WOW" factor that turns others into raving fans. Fundamental #17: BE "ON TIME IN FULL." Honor your commitments. Do what you say you're going to do when you say you're going to to do it. This includes being on time for everything. If a commitment can't be fulfilled, notify others early and agree on a new deliverable to be honored. Fundamental #18: GET THE WHEELS MOVING. Take responsibility for making things happen. Find a way for how we can do it, rather than explaining why it can't be done. Be resourceful, show initiative, deliver and celebrate results. Don't make excuses. Solve the problem and hold yourself accountable for achieving results. Fundamental #19: LISTENING GENEROUSLY. Listening is more than simply "not speaking." Give others your undivided attention. Be present and engaged. Minimize the distractions and let go of the need to agree or disagree. Suspend your judgment and be curious to know more, rather than jumping to conclusions. Above all, listen to understand. Fundamental #20: BE DIRECT. Speak honestly in a way that helps to make progress. Say what you mean, and be willing to ask questions, share ideas, or raise issues that may cause conflict when it's necessary for team success. Be courageous enough to say what needs to be said. Adress issues and communicate directly with those who are involved or affected. Fundamental #21: PRACTICE BLAMELESS PROBLEM-SOLVING. Demonstrate a relentless solution focus, rather than pointing fingers or dwelling on problems. Identify lessons learned and those lessons to improve ourselves and our process so we don't make the same mistake twice. Get smarter with every mistake. Learn from every experience. Fundamental #22: GO THE EXTRA MILE. Be willing to do whatever it takes to accomplish the job... plus a little more. Whether it's starting early, staying late, or doing something that's not in your job description, it's the extra mile that separates the ordinary from the extraordinary. Fundamental #23: BE AN MENTOR. Take responsibility to coach, guide, teach, and mentor others. Contribute to others' success and success will find you and your company. Make yourself replaceable. Be resourceful about learning and sharing your best practices. Fundamental #24: GIVE BACK: Be an active part of our community by getting involved and participating in community organizations and events. Contribute your time, energy, and passion. Every little bit matters. You can do make a difference. Fundamental #25: MAKE HEALTHY CHOICES. Take care of yourself at work and at home. Stay happier, healthier, and more productive by balancing your time between work, community activities, spiritual well-being, and physical fitness. Make sure to eat well and get adequate sleep. Fundamental #26: BE PROCESS-ORIENTED. 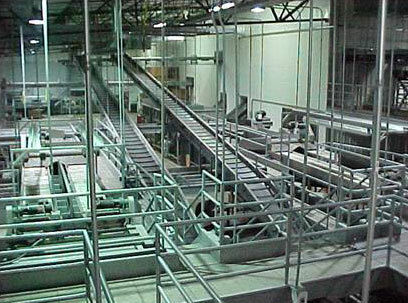 World class companies are built on a foundation of highly effective, repeatable process. look to create processes for every aspect of your work. Anyone should be able to pick up your work in your absence. Work the processes we have and look for ways to improve them. Fundamental #27: BE OBSESSIVE ABOUT ORGANIZATION. Regardless of the quality of your work, if you can't manage multiple tasks and promises, you won't be a superstar. Maintain a clean and orderly work area. Use an effective task management system for prioritizing and tracking outstanding issues and responsibilities. Fundamental #28: LOVE TO LAUGH. While our passion for excellence is real, remember that the world has bigger problems than the daily challenges that make up our work. Stuff happens. Keep perspective and make today count. Don't take things personally or take yourself too seriously. Laugh and smile every day.